Do anything with one hand behind your back. 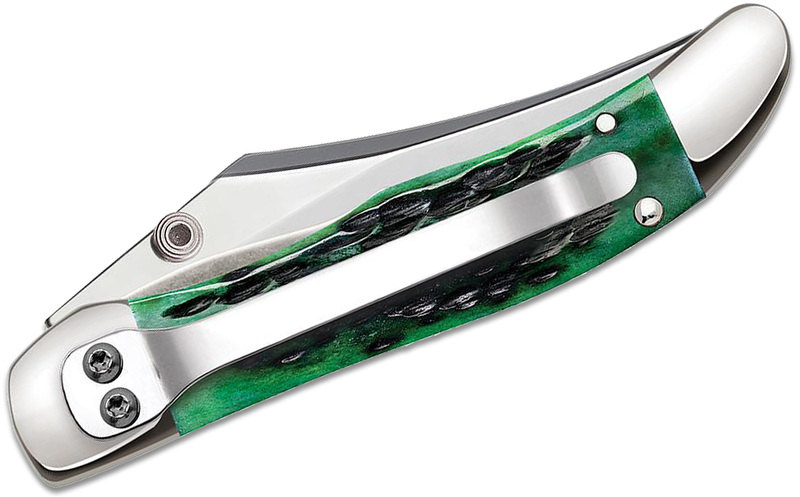 This Kickstart Mid-Folding Hunter makes short work of anything that requires ease of carry, quick deployment, and superb one-handed control. Apply pressure to the thumb stud and Case's patented Kickstart assisted opening technology springs this knife into action. Cutting, slicing, carving, chopping and paring are light work for this popular knife made better. 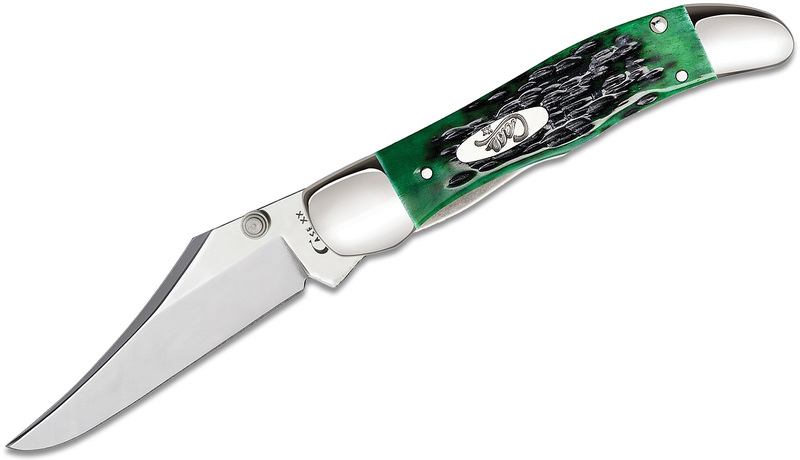 The knife is constructed with Case Tru-Sharp stainless steel, a special high-carbon steel that helps the blade hold an edge longer than conventional steel, and offers extraordinary blade strength and corrosion resistance. 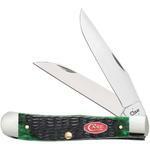 The handle is Pocket Worn Bermuda Green Bone with a peach seed jigging. 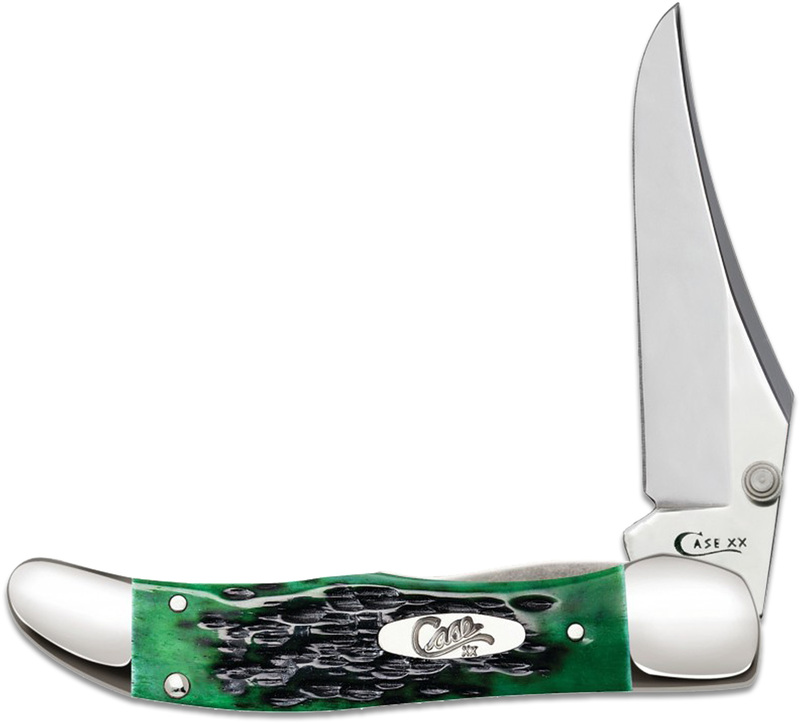 Complete with a 2.875" Clip blade with thumb stud and pocket clip, this knife will be a trusted companion for camping, fishing and tackling those everyday tasks with ease. Comes conveniently packaged in a box. 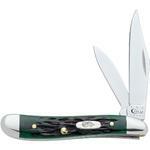 Made in Bradford, PA, USA from domestic and imported materials. 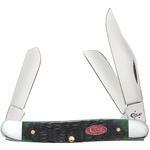 Hey, I wanted to share "Case Pocket Worn Bermuda Green Bone Kickstart Mid-Folding Hunter 4 inch Closed (61265AC SS)" with you from KnifeCenter.